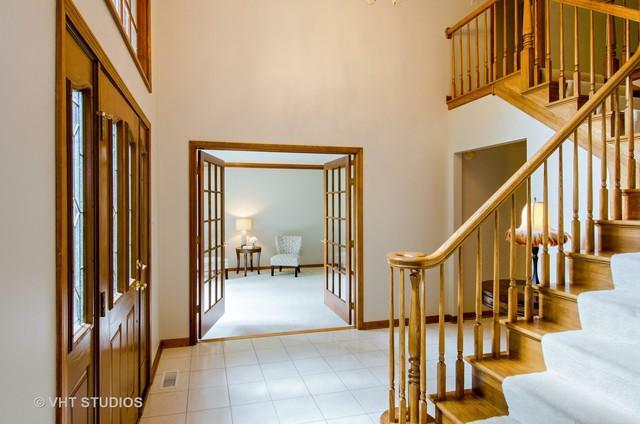 This welcoming Oak Creek home is ready for a new lucky owner! 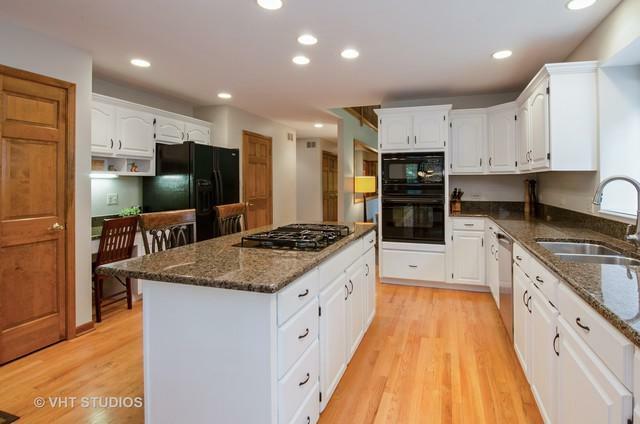 5 beds, 4 baths with 1st fl bed & full bath w/walk in shower, perfect in-law arrangement. Large volume ceilings create a truly special first floor experience, great open space & circular flow thru kitchen and living space. Top floor rooms are spacious w/enormous master suite & tons of storage. Finished basement has a full wet bar for the adults along w/tons of space for playing & a huge work/storage area - a previous owner had a wood shop so plenty of counter height outlets. 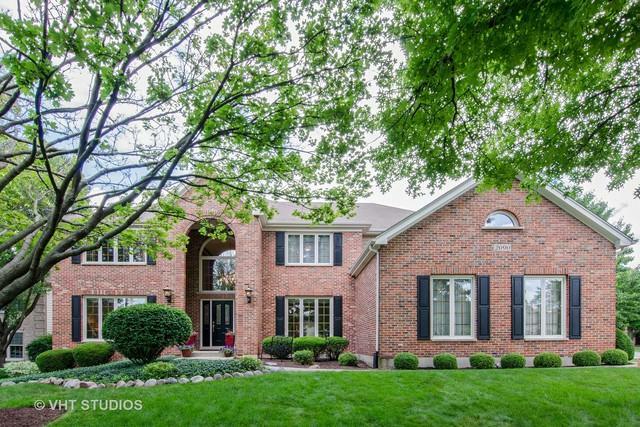 Wonderful curb appeal w/mature trees & a nicely shaded patio. 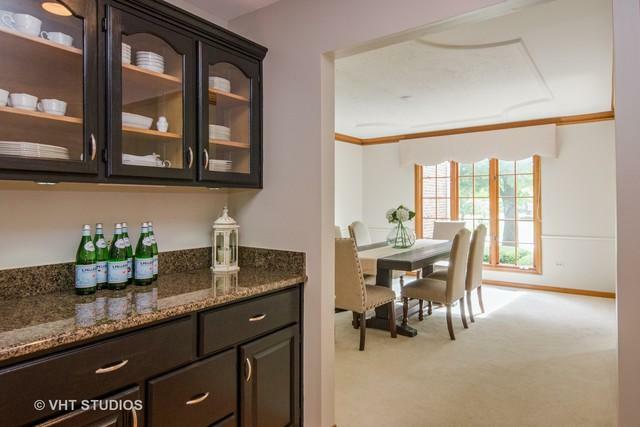 Top rated Naperville 203 schools are within walking/biking distance along with the River walk & two neighborhood pools.